Two young child survivors on board the SS Mataroa display their tattooed arms. The systematic exploitation and murder of children in the Holocaust is one of the most egregious of Nazi crimes and also one of the least documented. Many children died with their families in the mass shootings perpetrated by the Nazi Einsatzgruppen or perished from privation in the ghettos of Eastern Europe. Hundreds of thousands more children, deemed too young or otherwise unsuitable for forced labor, were exterminated upon their arrival in the death camps. These deaths, like the others, went undocumented since the children were never formally registered as camp prisoners. Those teenagers who survived selection in the camps were often worked to death. Through all these myriad ways to die, historians estimate that the Holocaust took the lives of over one million children, with some estimates as high as one and a half million. In this dark history, some flickers of hope and humanity can be seen in the lives of those few children who were rescued from the clutches of the Nazi regime. For example, the Kindertransports provided safe passage out of continental Europe for approximately ten thousand children. Other prewar emigration programs for children saved a few thousand more. At war’s end many of the children who survived the ghettos and camps found themselves as orphans with deep physical and emotional scars. 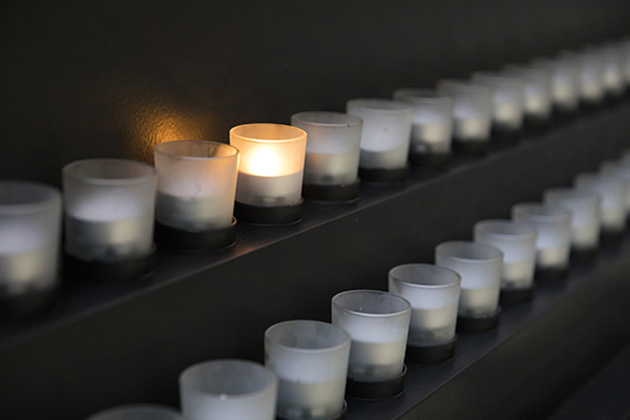 Many of these child survivors managed to overcome their wounds enough to share their stories of survival, and much of what has come down to us about children in the Holocaust has come from these testimonies. These men and women have told their stories in published memoirs, interviews and oral history projects, and these accounts now stand alongside the writings, diaries, letters, and drawings of child victims—in addition to school records, medical reports, and other bits of surviving documentation—to form a partial picture of the experiences of children in the Holocaust. The following bibliography was compiled to guide readers to selected materials on children that are in the Library’s collection. It is not meant to be exhaustive. The Library’s bibliographies on Hidden Children and Rescuers include additional resources about this topic. Annotations are provided to help the user determine the item’s focus, and call numbers for the Museum’s Library are given in parentheses following each citation. Those unable to visit might find these works in a nearby public or academic library or acquire them through interlibrary loan. Talk to your local librarian for assistance. Examines the history of Jewish children in Nazi Germany, focusing on the years 1933 to 1941. Discusses the harassment and expulsion of many Jewish students from German public schools, the ghettoization of the students into Jewish schools, and the desperate attempts of some Jewish parents to have their children emigrate from Germany even when they themselves could not. Reviews the history of Jewish children during the Holocaust with an emphasis on their life in the ghettos and their tragic fate in the concentration camps. Includes an estimate for the number of child victims in the Holocaust and photographs of children in camps and ghettos. Considers the impact of Nazi policies and military actions on the lives of Jewish and non-Jewish children across Europe. Includes discussions of Nazi racial ideals as applied to children in Germany and elsewhere, rescue efforts, life in the ghettos and camps, the use of children in forced labor, and the lives of young people in the aftermath of war. Includes photographs, endnotes, a bibliography, and an index. Comprehensive history of how World War II and the Holocaust impacted the lives of children in war-torn Europe. Recounts the experiences of children and their families deported to concentration camps as well as young people living in war zones. Based primarily on diaries and letters written by children during the war. Includes illustrations and photographs in addition to an extensive bibliography, endnotes, and index. Reviews the history of Block 31, located in the “family camp” in Auschwitz where entire families of Jews deported from Theresienstadt were allowed to live together. Reconstructs the children’s daily lives between their arrival at the camp in late 1943 and the liquidation of this Block in June 1944, including a description of the educational and leisure activities in this portion of the camp. Based on interviews with surviving staff members and pupils of the school. Uses historical narrative and contemporary observations to describe life for young Jews in the early years of the Third Reich. Explores the political, social, and economic impact of laws that isolated Jews, barring their education, training, and employment. Examines the educational alternatives developed within the Jewish community, particularly the non-Zionist occupational training farm established at Gross-Breesen. Reproduces excerpts of diaries and letters by former trainees and staff members of Gross-Breesen and a handful of black-and-white photographs. Also includes endnotes, a bibliography, and an index. Draws on oral histories, archival records, letters and diaries to analyze the circumstances, activities, and perceptions of Jewish children in Nazi Europe. Chronicles children’s lives before the war, the various ghetto and camp experiences they faced, and the challenge of life for child survivors in 1945 Europe. Includes many photographs, a bibliography, glossary, map and an index. Uses information combed from diaries, memoirs, archives, and interviews to explore the dimensions of play that helped both young and adult Holocaust victims find some modicum of normalcy in the madness that surrounded them. Attempts to clarify the emotional response of children to their surroundings by investigating the interaction of their real and imaginary worlds. Includes notes, photographs, a bibliography, and an index. A photographic collection released in conjunction with an exhibition of the same name, held in New York in 1990. Amasses a large collection of black and white photographs of childhood victims and child Holocaust survivors. Presents a variety of images, including professional portraits, candid, spontaneous snap-shots, and identification photos acquired at displaced persons camps. Includes captions to identify those pictured or to explain the photos’ settings. An account of the suffering of Polish children--Jewish as well as Gentile--under German occupation. Features a wealth of historical illustrations, including photographs and reproductions of German decrees affecting Polish youth. Includes a selected bibliography. Describes the fate of Jewish, Gypsy and Polish children sent to the Auschwitz camp system. Examines the apparatus that made Auschwitz the main site for the annihilation of Jewish children, either through immediate murder in the gas chambers or by extermination through work. Based on documents from the archives of the Auschwitz-Birkenau State Museum. Recounts in detail the experiments performed on young twins at Auschwitz by Josef Mengele. Uses testimony from survivors to chronicle the survivors’ wartime ordeals and their postwar lives. Explores how they coped with their childhood trauma. Includes numerous photographs, a bibliography and an index. Draws on archival and secondary resources to describe the experiences of both Jewish and non-Jewish children in German-occupied Poland. Organized into thematic chapters, focusing on how these children perceived and responded to situations such as the invasion, deportations, hiding, and Nazi concentration camps. Includes several photographic images, chapter notes, a comprehensive bibliography, and an index. Considers the experiences of non-Jewish children in Nazi forced labor and concentration camps. Focuses on the plights of three groups: non-Jewish Polish children separated from their families at the Zamość transit camp; children of Latvian partisans killed by Nazi soldiers; and children of Jehovah’s Witnesses and other political dissidents. Explores the problems facing Jewish teachers and students during the early years of the Third Reich by reviewing the history of the Jüdisches Landschulheim Herrlingen, a Jewish boarding school that existed for only five years but became known for its creative and experimental approach to education. Conveys the cultural and communal life of the school in addition to its curriculum. Reproduces many letters, diary entries, and drawings, and includes numerous photographs, a bibliography, glossary, names register, and biographical statements on the contributors. Documents the tragic story of twenty Jewish children murdered at the end of the war in order to hide evidence of the inhumane medical experiments to which they were subjected. Describes how the children came under the control of Kurt Heissmeyer, the Nazi doctor who supervised their torture and eventual execution. Chronicles the fate of the children, followed by the pursuit and punishment of Dr. Heissmeyer and his counterparts. Includes a small glossary, notes, and an index. Presents the text of a 2005 lecture outlining how Jewish children were targeted as part of the Nazi plans for the “Final Solution,” and how these young people often desperately sought relief from their non-Jewish neighbors. Analyzes the methods by which children were chosen to participate in the Kindertransports based on their expected ability to successfully integrate into British society. Focuses on the efforts of the Viennese Jewish Community. Chronicles the efforts of the Cambridge Refugee Children’s Committee (CRCC), one of the largest of the nearly 100 local groups in the United Kingdom that operated under the Refugee Children’s Movement to save approximately 10,000 children from Nazi-occupied Europe. Traces the experiences of six young cousins from the city of Leipzig who were brought to England with the assistance of the CRCC, using their examples as a microcosm of the overall efforts of that organization. Includes reproductions of dozens of letters between the children and their families in Leipzig. Presents an account of British stock broker Nicholas Winton’s 1939 rescue of 669 children from Czechoslovakia on the Kindertransport. Includes photographs. Account of the rescue of Ruth and Esther Theiner, two young sisters who were sent from Prague to England in 1939. Provides insight into the effect of expatriation on the lives and psyche of children in that situation. Based on detailed letters between the two girls. Provides an overview of the Kindertransport operation and analyzes the later recollections of individuals who were rescued. Discusses methodological and analytic perspectives on trauma and Kindertansports, psychological impact of separation, and repatriation, as well as coping mechanisms used by the children. Includes bibliographies, and four personal accounts of Kindertransport children. A collection of stories about the Kindertransport, a short-lived rescue effort that saved the lives of 10,000 Jewish children by sending them to England. Provides an historical introduction to these efforts and uses individual accounts to narrate a group history for those saved. Includes photographs, copies of documents and artifacts, biographical information on the witnesses, and a list of additional readings and resources. Considers the issues of social class and religious affiliation that were taken into account when matching Kindertransportees with their host families. Based on interviews. Describes the author’s experience on a Kindertransport from Austria to England and the impact of the new culture on Orthodox Jewish children. Includes a photo album and a glossary. A collection of stories from individuals saved through the Kindertransport operations gathered in connection with their fifty-year reunion in England. Reconstructs and contrasts the diverse memories of these survivors. In connection with each story, provides each person’s current location and prewar location, if known. A collection of first-person accounts of the Holocaust written primarily by survivors who were children or teenagers at the time. Addresses events from the early 1930s through the liberation of the camps to a few survivors’ postwar experiences. Organizes the entries topically and chronologically, providing for each the name, birthplace and birthdate of the author. Also includes brief biographies and/or photographs of some of the authors, a timeline of the Holocaust, and a map of the major concentration camps. Describes the process by which thousands of hand-written testimonies from child survivors were collected in the years immediately after the Holocaust. Reviews efforts by Benjamin Tenenbaum, the Central Jewish Historical Commission in Poland, and the Central Historical Commission in Munich to collect and publish these depositions. Tells the story of 732 child survivors bound together by their postwar journey from Europe to their new home in Britain. Chronicles their struggle from surviving the ghettos, camps, and death marches to reconciling their experiences and building a new life. Uses letters, conversations, unpublished memoirs, and articles from the organization’s journal to document their stories. Includes a few photographs, maps, a glossary, and an index. Portrays the three-year journey of Jewish children through the Soviet Union to Palestine using interviews completed after their arrival in 1943. Explores subjects addressed by the children such as Russians and bolshevism, work, criminal behavior, and death, organizing their comments thematically. Provides cursory historical information at the beginning of each chapter to clarify places and events mentioned by the children. Offers a short profile of each child in the book, providing name, age, and brief familial information. A collection of stories about thirty-one of the one thousand children liberated from Buchenwald. Traces their journey to a home in Taverny, France, where they were helped with their adjustment and re-integration to society, and describes their lives after the war. Written in part by the former director of the home in Taverny, Judith Hemmendinger, who interviewed these survivors as adults. Contains a reproduction of the list of 126 children on the convoy from Buchenwald to Ecouis in Normandy in June 1945. Also includes an annotated list of selected readings. A psychological study of the effects of trauma and persecution on a child’s psychic structure and emotional development. Explores the impact of life in the camps and in hiding on children and adolescents, basing their study on interviews with more than 1,500 survivors. Presents vignettes and life histories to illustrate points. Includes a lengthy bibliography and an index. A brief examination of the unique issues facing those who were children during the Holocaust by a psychiatrist who is himself a child survivor. Explains the importance of distinguishing between child and adult survivors, and summarizes the impact of the Holocaust on the young, including the importance of silence, splintered memories, and feelings of grief and rage. Originally presented on June 5, 1997 as part of the Monna and Otto Weinmann Lecture Series at the United States Holocaust Memorial Museum. Gathers the life stories of over sixty child survivors of the Holocaust who currently live in Poland. Relates the experiences of children from many Polish cities and regions and varied wartime ordeals. Based on testimony submitted by members of the Association of the Children of the Holocaust in Poland. Includes extensive annotations, a glossary, and an index. Presents a group portrait of the approximately 28,000 children forced to flee Nazi-dominated Europe for the United States. Utilizes census records, surveys, and other statistical sources to evaluate the social and economic achievements of this group. Includes an appendix describing the authors’ methodology, extensive notes, a bibliography, and an index. Presents research findings regarding child survivors’ postwar reactions to the Holocaust and the impact of their wartime experiences on their personal relationships, work, and adult personality. Includes tables, charts, and graphs summarizing the data gathered. Originally presented on May 15, 2002 as part of the Monna and Otto Weinmann Lecture Series at the United States Holocaust Memorial Museum. Uses the personal stories of ten child survivors of the Holocaust to examine the impact major trauma can have on children. Follows each interview with analysis and commentary, addressing issues such as identity, memory, adaptation, separation, and the search for meaning. Briefly discusses the relationship between the experiences of child Holocaust survivors and other traumatized children. Written by a child survivor who later became a psychologist and the founder of a child survivor organization in Australia. Gathers the diaries of over twenty children from all over Europe who lived during the Holocaust era. Recounts the varied experiences of childhood during the Second World War from the bombing of London with all its danger and tension, to Budapest prior to the deportations to Auschwitz, to the Łódź ghetto in 1944 with its conditions of desperation and starvation. Includes background information for each diary, a map of Europe showing each diarist’s wartime location, and a bibliography. Provides black-and-white photographs of many of the diarists. Collection of stories, essays, poems, and drawings from Vedem, a weekly magazine secretly published by a group of thirteen- to fifteen-year-old boys at Theresienstadt under the adult guidance of Valtr Eisinger. Also reproduces drawings by other children in the camp. Includes a list of the boys who spent time in Home One in House L 417 between 1942 and 1944, along with their fates. Collection of articles about German Jewish children and the art they created during the Holocaust. Focuses primarily on those children who attended art classes taught by Julo Levin at the Dusseldorf Jewish School and the Kaliski and Holdheim Schools in Berlin. Also presents works by professional artists depicting the lives of children in Germany before, during, and after World War II. Includes an essay on children’s art in the camps and ghettos and 125 illustrations, most of them full-color reproductions of original art work. Based on an exhibition at the Düsseldorf City Museum. Describes and analyzes drawings made in the summer of 1945 by Kalman Landau and Thomas Geve, both 16 years old at the time they were liberated from Gross Rosen. Describes the way these young men represented and confronted their experiences in the camps through their drawings. Includes reproductions of the artwork described in the text. Presents poems and full-color drawings created by some of the 15,000 children interned at the Theresienstadt camp in Czechoslovakia. Portrays the courageous efforts of children who managed to find and express hope in their artistic efforts. Includes works by many artists who were later deported to and perished at Auschwitz. Provides catalogs of drawings and poems, an epilogue, and a timeline. Collects excerpts from fifteen diaries written by young people caught up in the Holocaust. Introduces the diaries with the known biographical information concerning each writer and provides an appendix with short entries on the lives of other young Holocaust diarists whose writings are not included here. Includes extensive notes, a bibliography, and an index. Offers an emotional glimpse into the variety of ways children managed to survive the Holocaust. 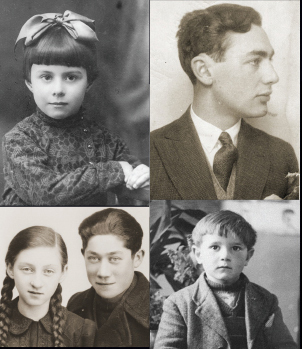 Narrates the stories of four child Holocaust survivors, juxtaposing their survival during the war: Janek, smuggled in a suitcase; Shmuel, saved using bribery; Sophie, hidden by a Polish family; and Yehuda, imprisoned in a concentration camp. Concludes with summaries of the survivors’ lives after the war. Examines the plight of Jewish children during the Holocaust as seen through the eyes of those children who survived. Includes footage of the Warsaw ghetto, Auschwitz, and the cattle cars used to transport people to the camps. Also includes interviews with adults who recall from their childhood the intense anti-Semitic mood of prewar eastern Europe, Germany’s invasion of Poland in 1939, the crowding of Jews into the Warsaw ghetto, and the struggle to survive in the concentration camps. Presents the story of the Kindertransport, a rescue movement that took place from December 1938 through August 1939. Documents the emigration of many Jewish children from Germany, Austria, Czechoslovakia, and Poland to Great Britain before the outbreak of World War II. Includes newsreel footage, photographs, and interviews with survivors. Utilizes archival footage and participants’ memories to document the Kindertransport relief effort whereby ten thousand children found refuge from Nazi oppression with foster parents in England. Includes interviews with the Kinder, now elderly, and even some of the foster families. Offers a glimpse into the personal challenges and triumphs the children met when faced with long-term separation from their family and the difficulties they had adjusting to new lives on their own. Profiles three people imprisoned as children at Theresienstadt: Helga Hoskova, Helga Kinsky, and Michael Kraus. Blends survivor interviews with excerpts from their diaries and drawings from the wartime years. Produced and directed by Zuzana Justman, another Theresienstadt survivor. Won an Emmy Award in 1998 for outstanding historical programming. Chronicles the lives of students from the last Jewish school in Berlin to be shut down by the Gestapo and documents their 1996 reunion. Uses interviews with surviving students to outline the course of Nazi persecution of the Jews in Germany. Produced in association with the Survivors of the Shoah Visual History Foundation. Documents the life of Nicholas Winton, who aided in the rescue of 669 children from Czechoslovakia on the Kindertransport. Winner of the 2002 International Emmy Award for outstanding documentary. Includes PDF study guide for teachers. An online collection of first-person survivor testimonies and brief accounts of the lives of victims, that includes information on life in the ghettos and camps, deportations, resistance, escape, and liberation. Intersperses accounts by child and adolescent survivors throughout the collection and includes a section specifically on childhood experiences in the Holocaust. Provides the accounts in text and includes video clips of survivor testimony where available. Online component of the exhibition on display at the Museum in 2006-2007. Presents the transcript of the exhibit alongside links to related online resources for learning more about the fate of children in the Łódź ghetto. Summarizes the history of Jewish children as subjects of Nazi persecution and as victims of the Holocaust. Describes their treatment and fate in ghettos and concentration camps, the subjection of young people to Nazi medical experiments, and the involvement of many young Jews in resistance activities. Includes photographs, personal stories, artifacts, film clips, and links to related Web resources. Reviews the history of the Kindertransports, a rescue effort that brought thousands of refugee Jewish children to Great Britain from Nazi Germany between 1938 and 1940. Details how the transports were organized, the general routes taken, the steps taken to find the children homes in England, and the approximate number of children saved through these measures. Includes photographs, personal stories, and links to related Web resources.